Mid-Range Budget Android Smartphones have already started to dominate the Indian Mobile Market. Thanks to “Moto G” for setting the benchmark for the Mid-Range Android Smartphones in cheap price. But Still, Other Mobile manufacturer adopt that same trick and launched many budget Mid-Range smartphones with premium design and stunning build quality even in the Price range between Rs. 5000 to 10,000 or 12,000 or 15000. Budget Mobile Phones in this mid category has improved a lot and users can enjoy the bunch of High-end Smartphone features in that low price Android Smartphones. You can get high quality camera, HD Display and high power processor and large storage capability in the Mid-range Budget Android Phones of 2017. This Price tag of Rs.10,000 to Rs.15,000 has been mainly dominated by the by the Micromax, KarBonn and Large companies like Samsung, Sony, HTC, Lg, Motorola. In this Post , We have listed the best Budget cheap Android Phones under the Price Range of Rs. 10000 to Rs 15000 for 2017. 1. Motorola Moto G4- Price Range Rs.12499. 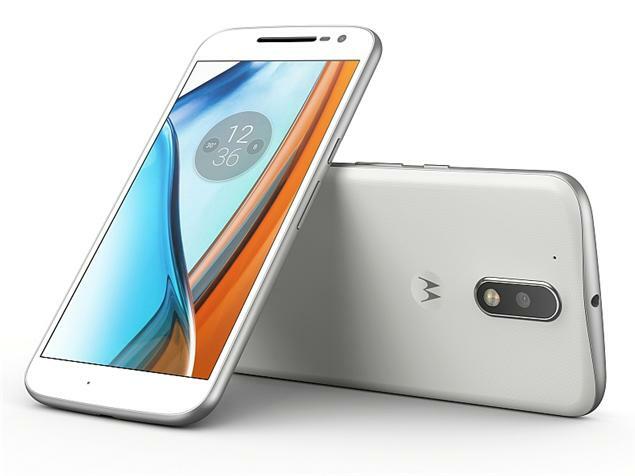 Moto G4 is one of the fast selling Android phone in this price range of samrtphone category. It has comes with 5.5 Inches Full HD display with 1080 x 1920 pixels resolution. Also, It has corning Gorilla Glass protection. The device has 13 MP Primary camera and 5 MP Selfie Camera. You can get the White and Black colors according to your choice. Huawei Honor 5C is powered by Cortex-A53 2.0 GHz (Quad Core) and 1.7 GHz (Quad Core) Processor for better processing and runs the on the Android v6.0 MarshMallow Operating System. It has the large 5.2 inch Full HD display capacitive touchscreen with Resolution of 1080 x 1920 Pixels. It sports 13 megapixel primary camera and 8 megapixel secondary camera with full HD video recording. It has come with 2 GB RAM and 16 GB ROM. You can expand the storage up to 128 GB using MicroSD memory card. 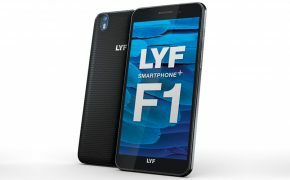 LYF F1 is the one of the best budget range Android Smartphone from Reliance. 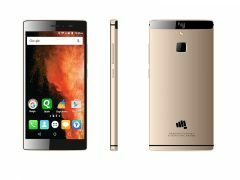 Now, You can get this super smartphone in the price of Rs. 13,310. It is powered by the 1.5 GHz Quad-core and 1.2 GHz Quad-core Qualcomm Snapdragon 617 Processor. LYF F1 offers the 5.5 inch Full HD Touchscreen display with Resolution of 1080 x 1920 Pixels. It runs on the Android Marshmallow V6.0.1 Operating System and offers the 16 Megapixel primary camera with 8 x Digital Zoom, Auto Flash, Face detection, Touch to focus capabilities. The phone comes with 3200 mAh Lithium-Ion battery capacity. It has come with 3 GB RAM and 32 GB Internal storage that can be extended using MicroSD card slot support of 128 GB. it also got 4G VoLTE support. Micromax Canvas 6 has got the 2.0 GHz Octa-core Processor under the hood with 3 GB RAM. Currently, It comes with Android v5.1. Lollipop OS. Micromax Canvas 6 has 5.5-inch large Full HD IPS Screen and sports an 13 MP Rear Camera and 8 MP Front Camera. You can get the 32 GB Internal storage with support of MicroSD card slot, capacity up to 64GB. Also, It has latest features of Fingerprint Sensor. 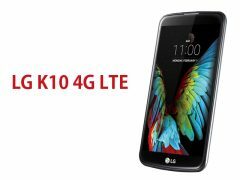 LG K10 4G is Dual-Active SIM Android Smartphone which means you can still receive calls on SIM2 when you are talking to someone else on SIM 1 . It runs on the Android v5.1 Lollipop OS. LG K10 sports a 13 megapixel Primary camera and 5 megapixel selfie camera. This mid-range smartphone is powered by the 1.2 GHz Quad Core Processor with 2 GB RAM. It has got 16 GB Internal storage with MicroSD card support up to 32GB storage. The Phone has 3000 mAh battery capacity. 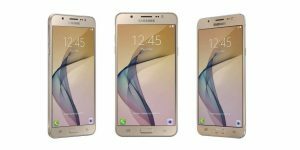 Samsung Galaxy On8 has packed with Android Marshmallow operating system and 1.6 GHz Octa Core Processor under the hood. It sports a 13 MP Rear Camera and 5 MP Front Camera. It has 5.5 Inches Full HD AMOLED display with 1080 x 1920 pixels resolution. Samsung Galaxy On8 has 16 GB Internal storage that can expandable upto 128 GB using MicroSD card. It has got big 3300 mAh Lithium-Ion Battery. It has 3 GB RAM and 4G LTE support. LeEco Le 2 has got massive 16 MegaPixel Camera that can be used to get high-clarity images and videos. You can view those snaps in the big 5.5 inch Full HD capacitive Touchscreen display. 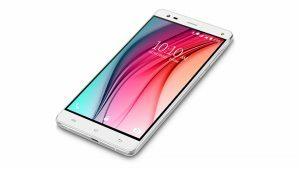 It runs on the Android v6.0 Marshmallow OS and powered by the 1.4 GHz Quad Core and 1.8 GHz Quad core Processor with 3 GB RAM. 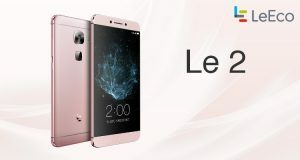 LeEco Le 2 offers 32 GB Internal storage. It also got 8 MP front-facing camera for high quality video chats and selfies. It has Dual SIM (Nano-SIM) and 4G LTE support. 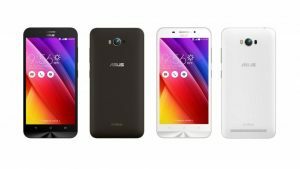 Asus Zenfone Max has come with 5.5 Inches IPS touchscreen display with Resolution of 720 x 1280 Pixels. It features 13 Megapixel Rear camera and 5 Megapixel Front facing camera. This Dual SIM budget Android Phone is powered by the Cortex-A53 1.5 GHz (Quad Core) and 1.0 GHz (Quad Core) Processor. The phone is packed with 3 GB RAM and has internal memory of 32 GB which can be extended up to 64 GB using MicroSD card. The phone has 5000 mAh large battery capacity. 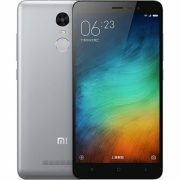 Xiaomi Redmi Note 3 is one of the great Dual-SIM budget smartphones that offers many features like Fingerprint sensor, large battery capacity. It has got the powerful Qualcomm Snapdragon 650 64-bit 1.8 GHz Hexa Core Processor and runs on the Android Lollipop Operating System. Redmi Note 3 sports an 16 Megapixel camera with LED flash support, Auto Focus and Digital zoom. It offers the 3 GB RAM, 32 GB Internal storage which can be upgraded up to 32GB using MicroSD Card Slot. Lava V5 has come up with Dual SIM Android smartphone with cheap price and high quality. This phone runs on the Android v5.1 Lollipop OS and is powered by a 1.3 GHz quad-core MediaTek MT6735 64-bit processor. Lava V5 has got 3 GB RAM with internal storage capacity of 16 GB which can be extended up to 32 GB with a microSD card. It features 16 megapixel primary camera with LED flash and a 8 megapixel front camera. It comes with 5.5 Inches HD display with the 720 x 1280 pixels resolution. Zuk Z1 is the most popular phone in this mid-range smartphone category from Lenovo mobiles. Lenovo Zuk Z1 has got a beautiful design and strong build quality. This phone has come up with a powerful 2.5 GHz Quad Core Qualcomm Processor and runs on Android v5.1 Lollipop OS with 3GB RAM. It comes with 5.5 inch Full HD TFT Capacitive Touchscreen display with 1080 x 1920 pixels resolution. Lenovo Zuk Z1 features powerful 13 MP Camera that can also support HD Recording and 8 MP front-facing camera for nice video calls. It offers the 64 GB Internal storage capacity. The Panasonic Eluga Note has come up with a 1.3 GHz Octa-Core processor and 3 GB RAM that combination gives you enough power to run the multiple apps and heavy-weight games. This phone runs on the Android v6.0 Marshmallow Operating System with Touchwiz user interface. 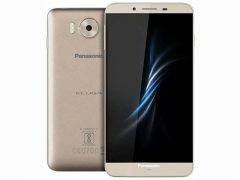 Panasonic Eluga Note has the large 5.5 Inches Full HD TFT capacitive Multi-Touch Screen with Resolution of 1080 x 1920 Pixels. It offers the 32 GB Internal storage capacity and MicroSD Slot supports up to 64GB. 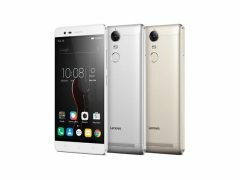 Lenovo Vibe K5 Note comes with big 13 Megapixel primary camera with HD Recording and 8 Megapixel secondary camera for high-quality video chats. The camera has other features like Auto Focus, Flash Support, 360 Deg Panorama Capture, Object Eraser and night mode. This dual standby Android Budget Phone has FM Radio with Recording Feature. Vibe K5 Note has massive 5.5 inch capacitive Touchscreen display with Full HD Resolution of 1920 x 1080 Pixels. This phone is powered by 1.8 GHz Mediatek MT6755 Helio P10 Octa Core processor with 3 GB RAM. You have internal storage of 32 GB and expandable upto 256 GB using MicroSD card. 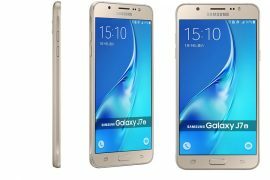 Samsung Galaxy J7 has the Dual SIM Support and have bigger 5.5 inch display with High-definition Resolution of 1280 x 720 Pixels. It sports 13 MP Camera with support of LED flash and 5 MP front-facing camera. 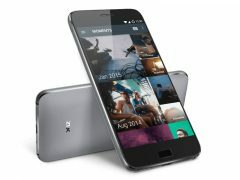 The phone is powered by the 1.4 GHz Quad core and 1.0 GHz Quad-core Cortex-A53 processor with 1.5 GB RAM. Galaxy J7 offers the 16 GB Internal storage with MicroSD card support up to 128 GB. The device has 3000 mAh battery for long time usage. 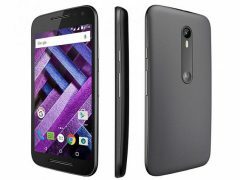 Moto G Turbo Edition comes with 5 inches large High Definition Display with Resolution of 1280 x 720 Pixels . This Phone is powered by the 1.5 GHz Quad core and 1.0 GHz Quad-core processor. with 2 GB RAM and 16 GB ROM support. It is Dual SIM Android Phone runs on the Android v5.1.1 Lollipop that upgradable to v6.0 Marshmallow Operating System. The phone featured with a 13 MP primary camera and 5 MP Selfie Camera.